Digital gift certificates are the perfect way to give the Original Benjamin’s Calabash Seafood Buffet! 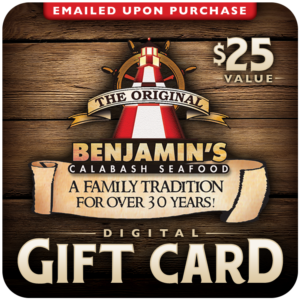 The perfect gift for the seafood lover in your life! 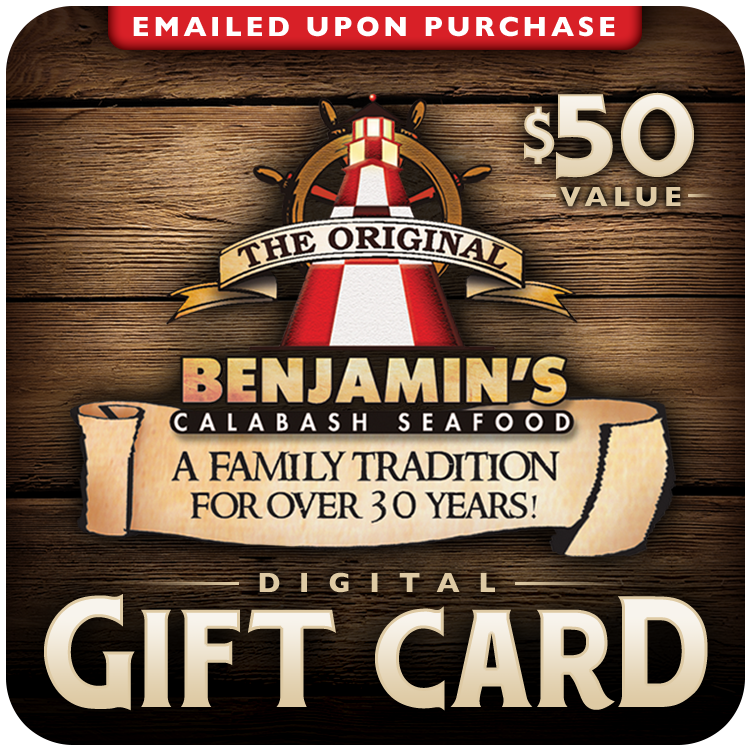 The digital gift certificate will be emailed to the email address of your choice upon purchase. Simply print out the gift certificate and bring in during your visit. Valid for dining purchases only.